A stratified ejecta block around an unnamed fresh crater on the far side of the Moon, NAC frame M110757216R (127.61°E, 13.13°N). Incidence angle is 24°, scale is 0.58 meters/pixel. 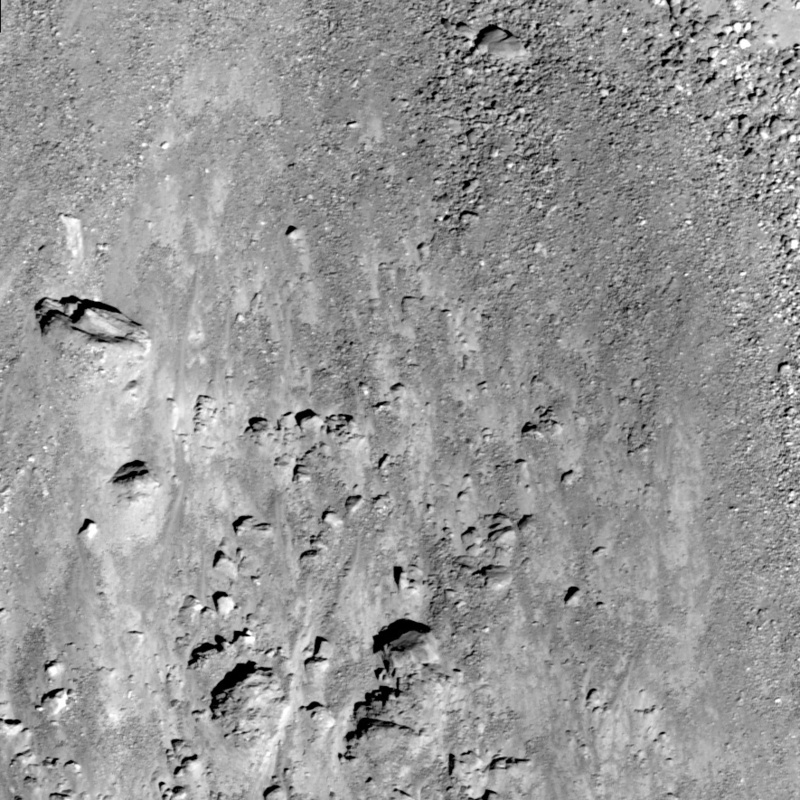 An unnamed, young Copernican crater (about 8.6 km in diameter) northeast of crater Meshcherskiy, has a diverse collection of impact ejecta features. 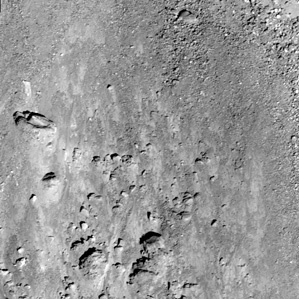 In today's featured image we see evidence for stratified materials in the ejecta blanket of the crater. This particular block, about 170 meters across (approximately two football fields long), might have formed through the impact process, or perhaps the stratified layers are consolidated (compressed) regolith. During an impact, material is thrown out of the crater cavity in sheets of material called ejecta. With the right conditions, the sheets of ejecta could form the layers of the block seen here. It is also possible that the layered material existed before the impact. The simplest explanation is that the layers we see here are actually linear stress fractures in a continuous block, due to the strength properties of the rock.